Usually people think Military would have no Chance against Air-Mobs at all. 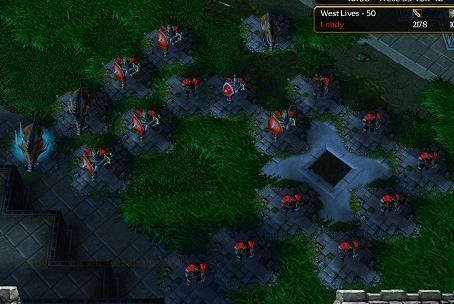 But thats not true, if you place the Damaging-Towers in the center; also there are some different Anti-Air-Towers. Military never leaks with luck or lending Gold. In this guide the tactic bases on first building all towers in a line without maze to use their max damage. Later the towers get sold and a real maze is being started. It is very important to put the most damaging towers in the center and maybe Anti-Air on the sites. You should only need the first 3 waves from the guide and build everything yourself, because it's not that hard and you got some space to try things. you should use the placement on the pictures. If you are on Red/Purple Position you should leave a space between your startingline to use it as a maze later. When the game starts, immediately build your towers and improve your first 10g-Peasant to already get 2 improvements in the first wave. Go on improving your Peasants. 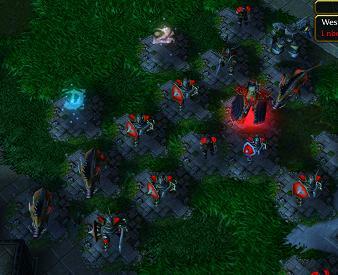 It is not that hard now, you could build whichever good towers you want by yourself while using good Towerplacement. Ulti is ok, (390g) only is ok, (80g) only would be too much maze, but you can use some of them. 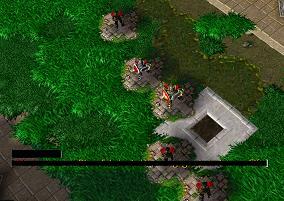 Still you should build some Anti-Air-Towers and micromanage them. -Build in the center of your maze: 2x (55g) = 110g to find a good way through getting the damagetowers in the center and also reaching most mobs with this. 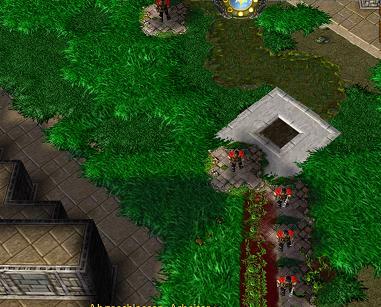 -build the Towers neccessary for Ulti, build 5-10 Scarlet-Healingtowers, one of them unimproved, build some Anti-Air-Towers (275g)->(350g) in the center and some (40g)->(80g) at front to expant the maze and protect from wave 45. It's not that hard now, you could build whichever good towers you want while using good Towerplacement. Ulti is ok, (390g) only is ok, (80g) only would be a too big maze, but you can use some of them. 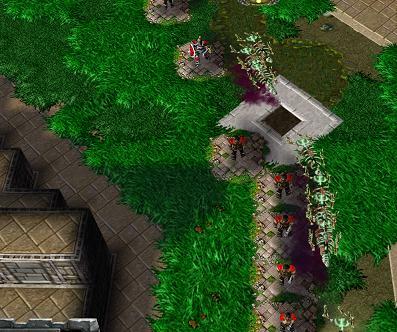 Still you should build some Anti-Air-Towers and micromanage those. 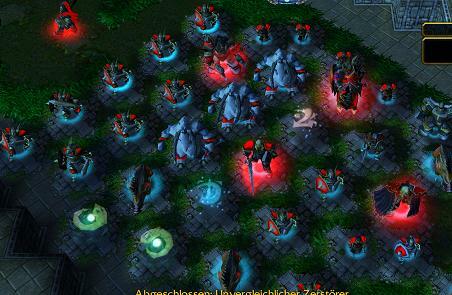 You can now go on building them on the sides at front too, to get the mobs in range of most towers. -upgrade everything except one Scarlet-Healingtower.